Karen Cummings-Palmer is a leading Integrative health and nutrition coach and commentator creating bespoke wellness programmes for both private clients and corporations all over the world. Karen knows that we really can feed our faces and fuel our bodies. She believes that ultimate wellness is ultimate beauty and that great nutrition is like great face cream, it should, hydrate, strengthen and get you glowing! Following years of working with restaurants and wellness brands and extensive study of integrative nutrition she has a finely tuned sense of what works from the inside out. 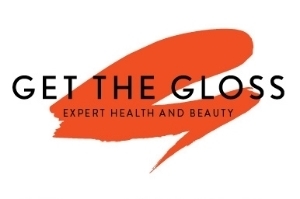 Inspired by her own life-long struggle with Eczema, and a desire to maintain what she calls the 'essence of youth' without use of needles or knives whilst working in Los Angeles she specialises in Age Management and Weight management. Karen helps her clients to understand that good health is a vehicle not a destination; that they must not stop experiencing life's great pleasures in pursuit of perfection. Whether the goal is to wipe ten years from the face or ten pounds from the scales she works within the context of your life. As shapes, complexions and feelings begin to change, so too do habits of and for a lifetime.